With an increased proportion of technology, we are offering a qualitative assortment of Glassine Release Paper. Our range has very good die cutting ability because it is manufactured within very narrow caliper tolerances. This paper offers considerable advantages as a liner material because it has high degree of density (highly smooth) and it offers an optimal surface for silicone coating. We have a variety of release values and sizes available in glassine, we deal in single side coated as well as have both sides coated to meet the needs of customers. Established in 2004, we, S. I. 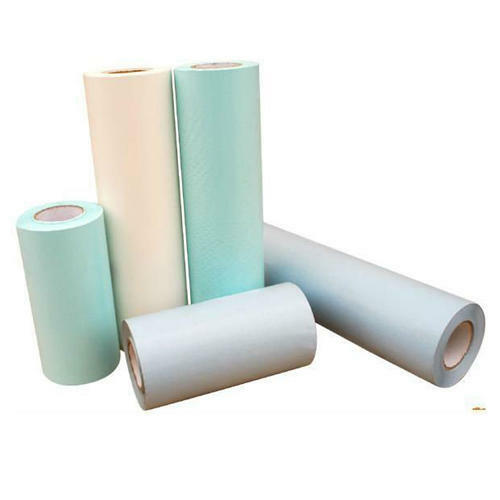 Paper Company are the manufacturer and wholesaler of Label Stock Rolls, Self Adhesive Paper, Gumming Sheets, Release Paper, Self Adhesive Roll, Poly Coated Paper Roll, Digital Gumming Sheets and Transfer Tapes.